1 What are Oat Pancakes? 2 When to take Oat Pancakes? 3 How to cook Oat Pancakes? 4 How many calories do Oat Pancakes have? Oats are rich in complex carbohydrates with a great amount of fiber, a cereal with a low glycemic index with proteins and unsaturated fats. All in all, they are an excellent food for sportspeople. As its name its own indicates, it is an exquisite recipe made of oats and egg whites, but it allows endless variations, all of them with their own unique touch, by using or adding an extra ingredient, either because we like it or because it increases the nutritional value, apart from the one that the oat pancakes already supply. In this article we will show you how to cook oat pancakes, different pancake recipes, both as traditional recipes by using the ingredients that we have at home, as well as other way of making them from a special product to cook oat pancakes. 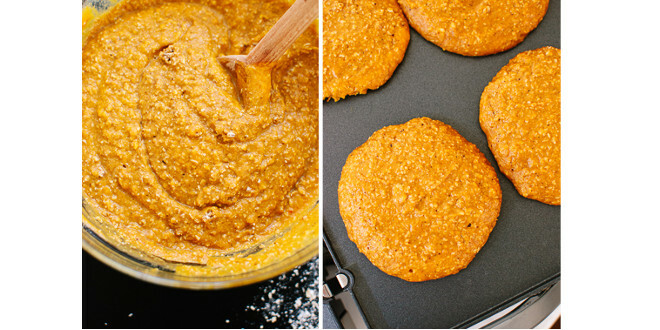 When to take Oat Pancakes? Oat pancakes are an excellent choice to have for breakfast with a fruit juice or coffee, they will provide you with enough energy and nutrients to start the day off well. They are also an alternative as a pre- or post-workout, or as an excellent snack that will provide us with quality nutrients. How to cook Oat Pancakes? In some cases, we will need to add a whole egg to the mix, milk (which can be from dairy or vegetable), or some fruit. Optionally, we can add other complementary elements in order to enhance the flavor, such as cinnamon, sweetener, or vanilla. There are 3 possibilities regarding the egg whites: use the ones from eggs, liquid egg whites, or a better choice (since they do not need refrigeration and their lifespan is much longer), Egg Whites powder. On the other hand, using a non-stick pan will prevent the pancakes from “sticking” to the pan and we will not need a lot of oil as well. Regarding this last point, it is advisable to use either olive oil or coconut oil as an alternative, which will provide them a flavor that you are definitely not used to. In the case of egg whites, we can use a variant: egg albumin powder. In this way, we will not need to keep the egg whites in the fridge, nor consume them in a relatively short period of time. The advantage of the powder format will precisely be that we can store it for longer and replace it when it is necessary. The HSNsports catalog has Evoegg available in 2 flavors: chocolate and vanilla, which we will take into account when it comes to cooking our oat pancakes in order to achieve the flavor we desire. How many calories do Oat Pancakes have? The Oat Pancakes recipes are really low in sugars and they will fit perfectly in any type of regime or diet that we may find ourselves in. What is truly important is the nutritional supply and the breakdown of the macronutrients, which is very balanced and, like the recipes, they allow a lot of variants which can be changed with the ingredients that we want, so we can always “play with the calories”. 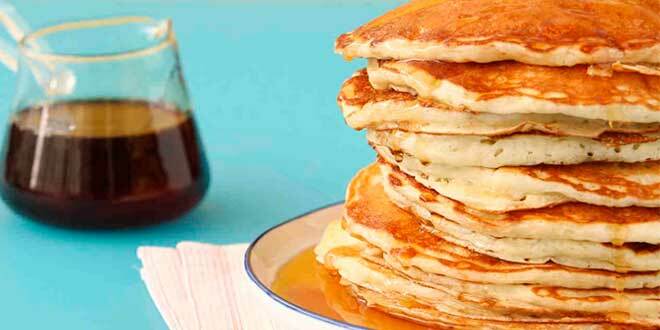 Delicious pancakes that are high in proteins, ideal to take after the workout. Also for breakfast or as an afternoon snack. Use a non-stick pan, pour a spoonful of oil and set the heat to medium temperature. Put the oat flour, the egg whites with the yolk, the baking powder, the protein powder, and the sweetener in a bowl. Mix all the ingredients until you get a homogeneous mass. Once the pan is hot, pour little amounts of the mixture to make the pancakes. You have to wait a minute to turn it. Do not serve until the pancake is golden on both sides. The result will be oat pancakes of an excellent quality, rich in proteins and fast-absorption and slow digestion carbohydrates. 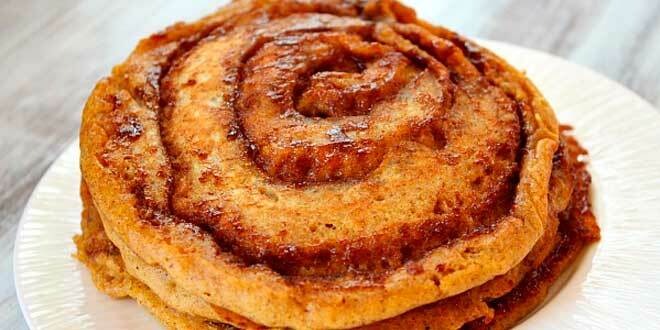 Pancakes with a touch of cinnamon. Pleasant flavor and creamy texture thanks to the fresh whipped cheese. Low in calories. Meanwhile, put the oat with the cheese, the egg yolk and egg whites. Mix all the ingredients until you get a mass with a homogeneous texture Then add the sweetener and the cinnamon to your taste. Once the pan is hot, pour little amounts of the mixture to make the pancakes. You have to wait a minute to turn it and do not get it out of the pan until the pancake is golden on both sides. 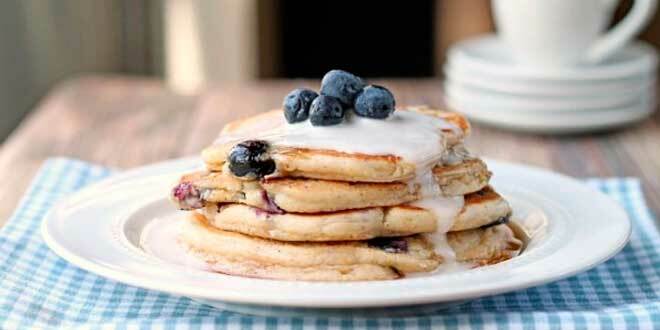 Pancakes with a high supply of fiber. Ideal to improve the intestinal transit. They make a perfect breakfast. We put all the ingredients in a glass, and mix it with a blender, until everything is well combined. Heat the pan to medium temperature and add a spoonful of coconut oil. Once the pan is hot, pour two spoonfuls of the mixture and wait a minute to turn it. 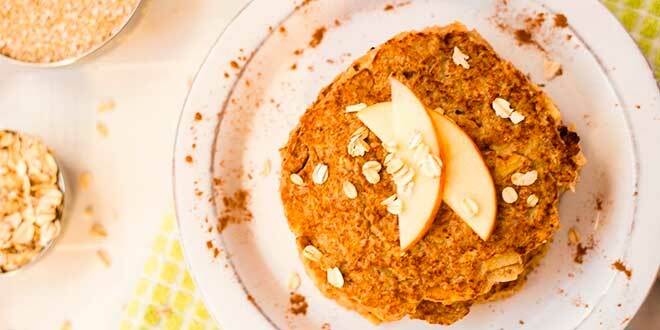 Blend of oats and apple in delicious pancakes. Afternoon snack before training. First, peel and slice the apple. Then cook the apple in the microwave for two minutes. Use a non-stick pan, pour one spoonful of oil and set the the heat to medium temperature. Meanwhile, take a bowl and mix the oat flour, the egg whites and the yogurt until you get a homogeneous mass. Then, add the apple, sweetener, cinnamon, and vanilla, and keep blending everything. If it is too liquid you will have to add more oat flour. Once the pan is hot, pour little amount of the mixture to make the pancakes. You have to wait a minute to turn it and do not get it out of the pan until the pancake is golden on both sides. Mix everything perfectly with the help of a blender. We will use a non-stick pan with a coconut oil spoonful that has been previously heated. We will pour 1 spoonful of the mixture, and cook each pancake around 30″ per side. This time, we are going to use egg albumin powder from Evoegg as the main ingredient for the preparation of our oat pancakes. Moreover, we will use coconut oil, which provides a type of medium chain fat, which tends to be used as fuel instead of being stored. In this way, this recipe is an excellent choice as a pre-workout meal. The egg albumin allows us to avoid refrigerating the egg whites. We can cook our pancakes whenever we want. Add the water or milk in its corresponding glass. Then, the rest of ingredients and blend them well. This time, we are going to use a mold that has to be suitable for the microwave: we will add all the mixture. Turn the microwave to the maximum power, program it for 5 minutes. When it is done, check if it needs some more cooking time. Recipe to make Pancakes with an exquisite flavor. Highly nutritious, apart from being a source of proteins, carbohydrates, and healthy fats. Peel and cook the carrots. There are special recipients for microwaves, which can be used to cook the food in a very short period of time. We add the egg whites and the oat flour with the yogurt, and mix it well. We add the carrots to the resulting mixture, and we blend it to make an homogeneous mixture. We smash the walnuts with our hands, and we add them to the mixture. Stir the blend with a spoon. In a pan that has been previously heated, we pour some coconut oil and add the mixture. Then, we can cook the pancakes with the thickness that we like. Once they are ready, we can add a little bit of honey on top and add some walnuts that we may not have used. 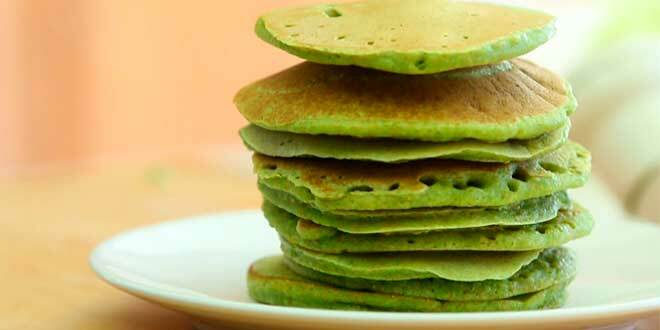 Recipe to make Pancakes with a twist: with peas! Surprising texture and different flavor, but still as appetizing. They are perfect for dinner. We put the frozen peas in a bowl and we fill it with water, then we heat it in the microwave at maximum power. In this way, they will defrost easily. Add all the ingredients to a bowl or blender and stir them until you get a homogeneous blend. We will add the mixture to a pan that has been previously heated with a little bit of olive oil. We will add more or less mass depending on the size and thickness that we want. As it has been mentioned, the recipe is designed to have a meal for several days of the week, since it has a lot of calories. We can boil the sweet potato properly or we can cook in the microwave to accelerate the process. Once it is cooked, we smash it with the help of a fork until we obtain a puree. Then, we will add all the ingredients to a blender and mix until we obtain a homogeneous mixture. We can add a little bit of milk if necessary, so that the mass does not become too thick. We will cook our pancakes in a pan that has been previously heated with oil. It is advisable to make little pancakes. Oat Pancakes Recipe to make "wraps" filled with ham and cheese. You can eat them as a delicious afternoon snack or dinner. We are going to cook 2 pancakes that will be used as a "Wrap". Pour some of the previous blend, make a very thin pancake. When it is cooked on one side, flip it and add 2 slices of ham and a cheese sheet. Let them cook while the cheese melts little by little. When it is ready, serve it on a dish. Use a fork to roll the pancake a make a "Wrap". Repeat the same process for the other pancake. 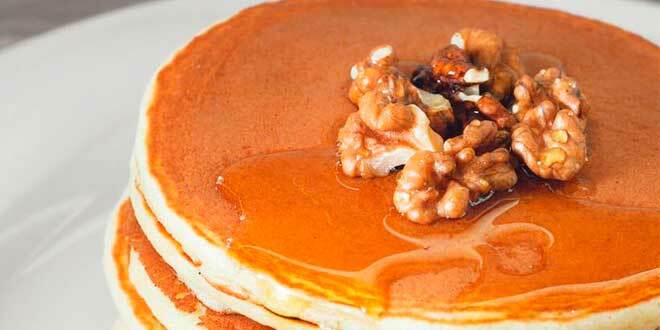 Amazing recipe to cook oat pancakes with pine nuts. A great supply of nutrients with a delicious flavor. Don't forget to toast the pine nuts previously. Meanwhile, blend the rest ingredients with a blender. Once the pine nuts are toasted, add them directly to the blend and stir. Cook little pancakes as big as you want in a pan. 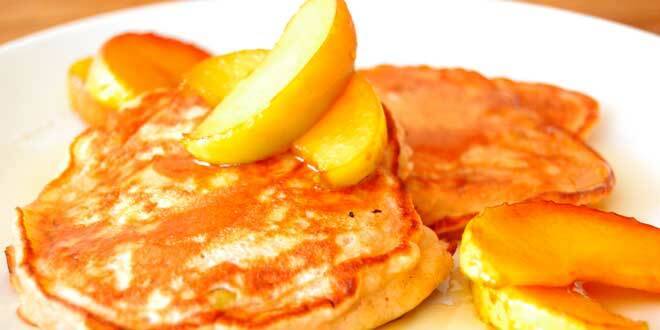 Recipe to make Oat Pancakes with stiff egg whites, you will achieve an incredible result. Delicious and spongy texture. Put the egg whites in a bowl and beat them until they become stiff. You can use a blender to make this step easier. Once the egg whites are ready, it is time to add the rest of ingredients, and keep mixing. Once the mass is ready, you just have to cook the pancakes on a pan. A recipe made only with quality ingredient: oats, egg whites and coconut. Unparalleled texture and flavor. Mix and blend the oat flour, egg whites and coconut cream. Pre-heat a non-stick pan and pour a little bit of olive oil. While we cook the pancakes, put 20g of the chocolate tablet in a bowl and melt it in the microwave (approx. 30" at maximum heat, depending on the microwave). Once the pancake is ready, pour the chocolate on top. You can add a few berries or frozen blueberries. Enjoy! A recipe full of nutrients and antioxidants. Appetizing at any season, both for breakfast or as a delicious snack. First of all, you have to make a pumpkin puree. You can either boil the pumpkin or cook it in the microwave as long as you have a recipient that is suitable for this machine. Put all the ingredients together and blend them until you get a homogeneous mass. Add a little bit of milk if necessary. Now, cook the pancakes on a pan. Add more or less blend depending on the size that you want. Optionally, you can sweeten them with some Organic Maple Syrup! 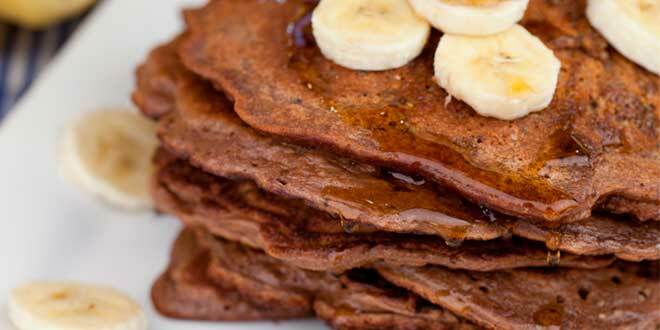 German oat pancakes, ideal to start the day full of energy with all the nutrients that we need. Preheat the oven at 220º for 10 minutes. Whisk the eggs. Add the milk, then the flour and mix all the ingredients properly. Put a spoonful of coconut oil in a mold, put it in the oven until it melts. Spread it and pour the previous mass. Cook at 180º for 20-30 minutes, make sure that the pancake gets bigger and toasted. Optional: you can pour some ounces of sugar free Dark Chocolate with Coconut on top of the pancake so that it melts. French-style oat and egg white pancakes. You can eat them as a pre-workout meal to achieve a great performance! Mix the egg whites with the oat flour with a blender. Try to make small pancakes and do not cook them too much, since we will cook them again in the second step. Put the eggs, milk, a lot of cinnamon and a pinch of salt in a bowl and mix it until everything is well combined. Use the previous pan. Soak each pancake in the bowl with the previous blend and cook them again a medium heat. Make sure to cook each side of the pancake. Add some honey or syrup after serving them. 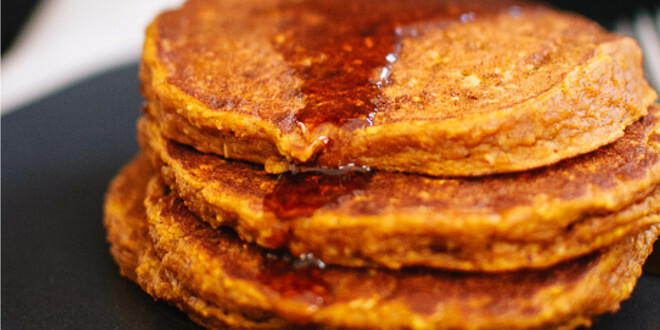 Why not eat some oat pancakes with cheese for dessert? They are delicious! Leave the cheese at room temperature for 20 minutes. Then, mix all the ingredients with a blender. Heat a non-stick pan with a little bit of oil. Add the previous blend and cook small pancakes. 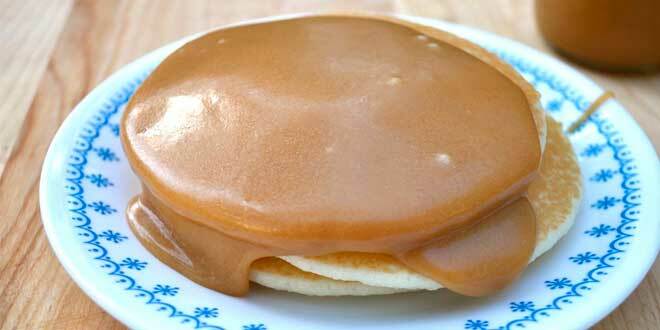 Optionally, you can add some organic syrup on top. We also suggest adding some berries and even a little bit more cheese. If you find it difficult to make these recipes, or maybe you do not have the adequate ingredients, there is an interesting solution: Evocakes. It is a powder that is ready to mix with water or milk to cook pancakes on a pan in an easy, comfortable, and fast way. Take advantage of the Evocakes: you will not stain yourself, you will not need to store the egg whites, they are very easy and comfortable to make, they save time, have a delicious flavor, you can take them with you anywhere and even cook them in a microwave… what else do you want? Evocakes has been designed for those who cannot spend a lot of time in the kitchen. You will still be able to enjoy some delicious protein pancakes! Use a HSN shaker with a micro grid. Add 220ml of the liquid and two scoops of Evocakes (if you do not have a shaker, you can always use a blender to obtain a homogeneous blend). Shake or blend and make sure that the powder and liquid are properly mixed. Take a non-stick pan, add a spoonful of oil and turn the heat to medium temperature. Spread and remove the oil with a napkin. Once the pan is hot: add 2 spoonfuls of the blend per pancake, cook each one for 1-1.5 minutes each side until they are cooked. Do not turn a pancake more than once. We have a solution for everything here at HSNstore! If you want to acquire a product to make authentic Protein Waffles, EvoWaff is the best choice. They are super easy to cook, you just will need a blender and a waffle iron. Previous Multivitamins: Why Take them, Types and Composition, Benefits, Why do Athletes Need them?